For any business or organization, the need to control and monitor cash transactions to ensure the efficient operation of the business is vital. In Alison's free online accounting course, procedures and structures for establishing internal control such as control of cash receipts and cash disbursements, proper use of the bank checking account, preparation of the bank reconciliation, and protection of petty cash funds are all explored in detail. 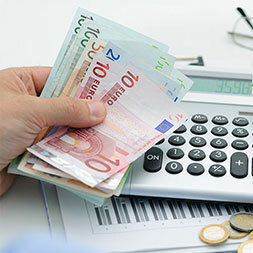 An overview of the five components for internal financial control is described and this provides a structure for developing the necessary accounting procedures needed to ensure the safe handling of cash within an organization. Alison's free online accounting course will be of great interest to entrepreneurs and business professionals who would like to better understand how to control and monitor daily cash transactions within an enterprise, and to any learner who is interested in accounting as a future career.